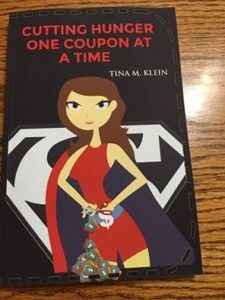 Super Coupon Woman’s New Year’s Resolutions! 2016 has been a rough year for me to say the least. I am looking forward to 2017 and new beginnings! Time to share our New Year’s Resolutions with each other and check back in the middle of the year and see how many we followed through with. Not Spend any money on Paying It Forward, can only use items others give me or free items I get from Couponing or any fund raising money I receive. Make an extra 3,000 in income from side jobs such as book sales, mystery shopping, blogging, or other side jobs. Try to pay for christmas only using free money from gift cards from couponing, survey sites, etc. 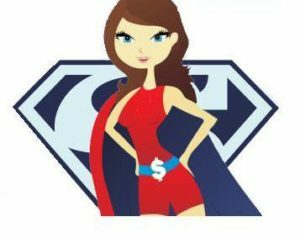 Super Coupon Woman Has Paid It Forward Over $100,000 To Her Community! If someone would have of told me 15 years ago that I would start a Pay it Forward mission that would lead to donating over $100,000 to my community, I would have thought they must be talking to someone else. At that time, I was the one needing help, hoping and praying everything would go just right. As single moms, we learn to take things day by day doing whatever we can to make sure our children are happy without them knowing the financial struggles we face every day. Luckily I had friends that pointed me in the right direction of number’s I could call to see if they would be able to help with a bill, food, or maybe a little assistance to pay the rent. Sure, most of the times the answer was no, but what a relief it was when I came at just the right time and they said yes! I must have had a guardian angel to help me make it through those tough years. I was stubborn, I wanted to be able to do this on my own! The problem was my money didn’t seem to stretch far enough. I only had $50.00 left over from child support after rent was paid. My children tell me they had a great childhood, so I managed to hide things pretty good. I would always look for free things to do, we would go to the library and park a lot! Things got a little easier financially when they were old enough for me to get a job, but they became more expensive as they turned into pre-teens and needed all the make-up, and money to go to the movies,and more expensive clothes. 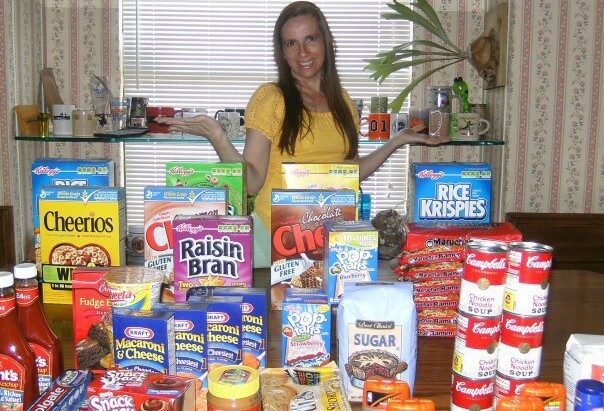 I learned how to coupon in late 2008, and I not only saved money in my own budget but soon began to see how Couponing could help me pay it forward to my community as a way to give back for all the help I had received when I so desperately needed it. I began to ask my friends and family and even the community to donate their unused coupons to the local food pantry so I would be able to get more items to help those in need in my community. I usually get bored with things quickly, so I wanted to keep donating a priority, so I started creating challenges for myself to reach such as donating $500.00 (keep in mind, I am a single mom so money is still tight) then $1,000 which I reached out to the media to hopefully inspire others to donate to their communities with the help of coupons. My challenges continued to get larger. I challenged myself to donate a $10,000-holiday donation in retail value for $1,500, that I successfully completed and allowed me to donate over 700 gifts to those in need in my community while achieving an 85% Savings! As soon as I completed that one, I immediately came up with challenging myself to donate $50,000 within a year. (Even I thought I might be a little crazy for doing this one.) I started having some financial issues and was going to call it off, but my friends encouraged me to continue to donate and offered to help reach my goal! I was able to collect 33,500 of the $50,000. I decided to finish the challenge in 2016 and celebrate by Paying It Forward with 100 backpacks filled with school supplies to those in need throughout my community. I am proud to say I successfully completed the challenge August 10,2016. There have been ups and downs since I started donating, but I have truly started a pay it forward movement which I am proud of and will now be sharing it in my upcoming book to be released on Black Friday 2016, I will share my story and teach others how to coupon and save money which will hopefully lead to donating to their communities as well, called “Cutting Hunger One Coupon At A Time” I am Super Coupon Woman, but I need some help filling up the food pantries across the nation Will you be the Super Coupon Woman in your community also? So the New Year is here, and after a few rough years financially, I am hoping for brighter days ahead. I will still put paying it forward and donating a priority, but will also try to focus on myself a little more. I tend to always put myself last without realizing it..I have not bought anything for myself in over two years! 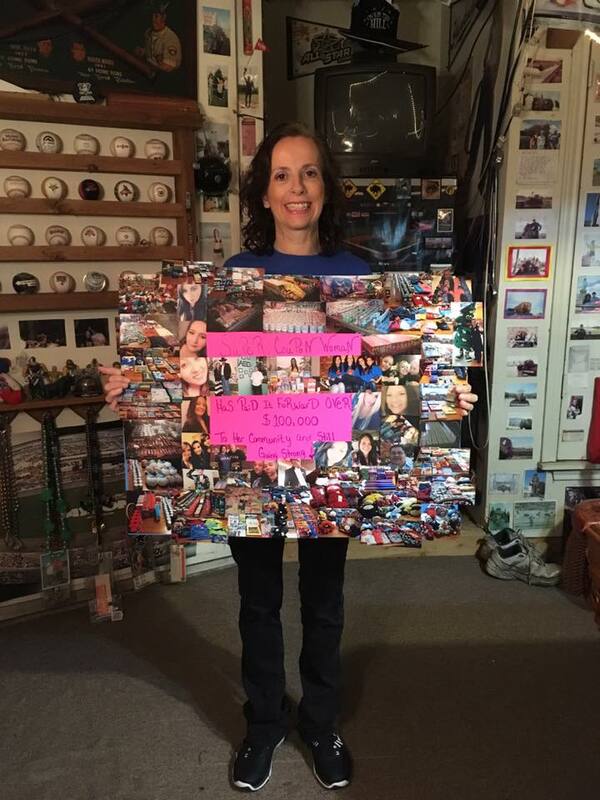 I spent 2,000.00 on the $50k challenge as well as taking a $9,000 setback due to lots of car issues (went through 3 last year…No No not my driving, just older cars that broke down and had to get a new one. I had to finally break down and get a new car with car payments which is what I was trying to avoid, but I am much safer so it will be worth it! I helped over 70 children which equaled to about 30 families. I didn’t ask for any income requirements, just a Pay It Foward project, I gave each child between $250 and $400.00 worth of items. I asked each family to send pictures so I could put a video together. Out of 30, only five did. Thanksgiving, I helped 12 families, and only two sent them to me. When I messaged some of them and asked for the pictures, they just never responded back. Though I did not expect anything in return, this hurt my feelings knowing I put my own financial issues aside to pay it forward, their actions hurt my feelings as I am a sensitive person and take things to heart. I am proud of my accomplishment, and will continue to work towards my #100,000 goal, just at a slower pace. I only need $15,000 to go! With the awesome friends I have, and getting my finances in order to save for a rainy day, this goal should be a breeze! This year I plan on getting back into extreme couponing more instead of the retail end. I will be sharing my couponing trips with you..some I may scour and search for every coupon available, some I may just browse the sales. 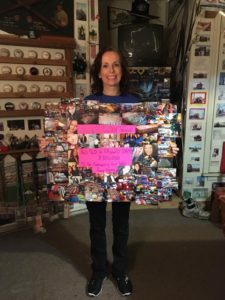 I had a fan want me to share how I work in donating my shopping trips. So by sharing my shopping trips good or bad, you can see how it works! So, yes this year I will focus on myself and still help others…good plan! I look forward to sharing my book with everyone when I get it finished.